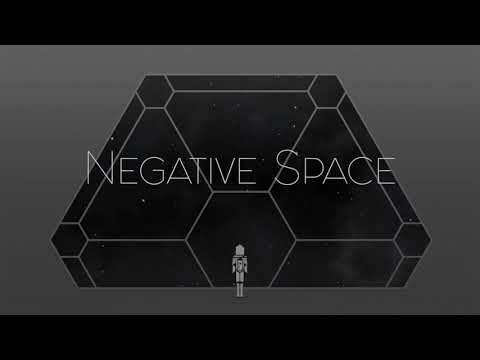 In Negative Space you play as an astronaut, isolated on their space station with minimal possibilities to interact: there is the fridge, the bathroom, the bridge - when you try to interact, you experience a flash back and find yourself trapped in a feeling. You have to work through it before it will let you escape. You keep exploring different feelings - the more you explore, the deeper each feeling space gets, until you emerge on the other end as a new person, profoundly touched and changed. I love where this is going. I love why this is here. I can already feel the isolation just by looking at the animated gif. LOVE that art style BTW. :) Cannot wait to progress through the different locations and learn what, where and why. If you can find a way to escalate the power of how I feel over the course of the game, then it's a win for me. I neeed the start field on the first screen to have the slightest parallax to it pleease! Already looking great otherwise. Once I enter the fridge-zone, is there anything more there to look out for at the moment? I'm adoring the style already! It's still early for me to me to do anything but speculate, but I'm looking forward to a meditative gaming experience here. Looks pretty good. 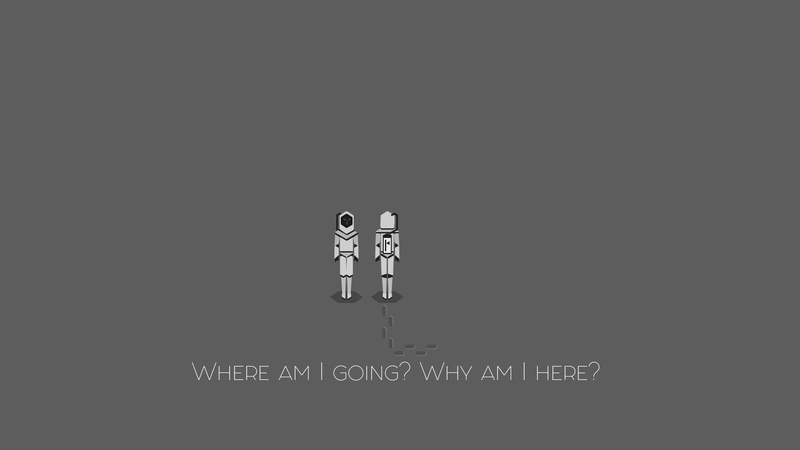 Good questions to ask, especially if you're isolated on a space station. Time to make my obvious song dedication for this entry. My song choice is of course, "Space Oddity" or most people are more familiar with "Ground Control to Major Tom"
Nice, you've packed in a great story experience already with such minimalism in the right places! My only issue is initial disorientation at whether or not I had to trigger any events. The dialogue in the Fridge of Infinite Adventure would come by really slowly sometimes, such that I wasn't sure if I had to be doing anything in particular or if my response to the situation was actually open ended (I enjoyed the little things in this regard, like sitting down after you stop walking, or just looking out windows). Looking forward to final build! I can only go into the fridge? The door doesnt seem to do anything. The footprints are really cool....I totally did not draw any rude shapes. Gave it a go, and I must say I loved the art and the sound. The simplicity and responsiveness of the controls makes playing it feel really natural and unhindered, which is great! The only thing that created some confusion was the initial feeling of not knowing whether I should be doing something or nothing in order to progress. Maybe add a sit key to it? Because I only realised I can sit down after walking around for quite a while trying to figure out what I was supposed to do. Definitely keen to see where this goes though, and overall, great job! It takes a while to recognise the thrust of the narrative, in the meanwhile giving the player increasingly more points of interest to interact with is interesting. But then it hits a point where you're not sure if you're supposed to do something or nothing. "Artistically" I understand that's the point, but then the narrative tension between "being in character" and "playing a game" breaks down as the player increasingly feel pressured to "figure it out", otherwise the game "stops" - either mechanically or in a way intended by the designer, or not intended by the designer. I guess that ultimately in giving the player the freedom of agency, the game has a job to do too in pre-empting that agency and showing the player that it (the game) knows what they're doing. In a narrative game, at least. If emergent mechanics isn't the point, then a continual thread to pull and unravel would be. Or some kind of self-expression. In this case I think it's the thread, and the thread lost me a couple times, either through pacing, or just not giving me enough to go on. On the theme, I don't feel like it fits. And that's alright as I don't think you intended for it to fit. There are a handful of graphic bugs that I'm sure you already know about and doesn't need to be brought up. It's an interesting and beautiful experiment, as narrative games go, but it was too high on the frustration scale for me in terms of the game leading the player into more narrative. Yo this is a cool little experiment! Love the name and how it matches up to the gameplay. The minimalist aesthetic and audio make things feel very peaceful and mysterious too. In terms of feedback, it's always hard to give feedback on high-concept pieces like this! For one, you need to know the goal of what sort of feeling you were trying to achieve, and secondly, perhaps feedback isn't even desired. - I love how you develop the mechanical motif of the doors over time, it's great! Would have loved to see the walking itself also develop, as it's your main interaction. It could have nicely entertwined with the emotional arc of the game. - Oh and also, I don't think I 'finished' - got stuck in a white room with an expanding circle that didn't seem to ever stop expanding and sitting for a while didn't do anything either. It was interesting at first. And I mean that. The premise and the beginning filled me with curiosity and the art style was unique and fresh. The animation was a bit slow, but as long as I didn't have to do a lot of walking, then it was fine. The way the message was ultimately presented, left me with a lot of negative after taste. Literally walking a mile in those shoes made me forget about having sympathy for the character, and had me feeling negative and annoyed with the designer instead. You lost my immersion at that moment. Once I started feeling that the experience was intended as a bad one, I just wanted to quit and stop. I lost interest. - allow players to skip narrative (especially if it is repeated) or at least speed up the delay. - Reduce the distance between everything. - Add imagery that convey our position and movement in the world. - Speed up the animation. - Over all just speed everything up. beautiful art beautiful music beautiful message beautiful concept. All hidden underneath an endless walking sim. I was about to give up so many times the in-between bits are too long which gives an impression that mabey its buggy and the next level hasn't spawned. The art style and music is great. Very polished. I couldn't finish it as the sense of isolation and being trapped weirdly enough made me quite anxious - but I guess that is the sign of an immersive experience! Since @Tuism, @Bensonance and @Pierre collectively covered everything and more than what I was planning to say, I guess I'll have to nitpick. The walking animation when moving up has the left arm moving with the left leg and vice versa, which makes the movement look unnatural. Really felt the mood with this one - got soo anxious at some point when I was really far from any of the doors. Overall a cool experience! We made a some tweaks to pacing and a lil more juice. Here are the post jam versions. You did a really great job on the atmosphere, with an overall really polished experience. Aside from the footsteps sounding like a limp and not matching the character's animations, it did a great job of making the eerie, lonely kind of feeling. The minimalist art style was a great choice for jam scope, and the character animation, with a nice walk cycle and even sitting during idles, was great! I found some of the writing to be a bit repetitive, without really conveying new information or new thoughts to contemplate. "Where am I? Why am I here? Where is everybody?" These are good questions to get the player to ask, but I feel that it's not as satisfying if you're telling the player so directly to think about them. I realise that these are thoughts that the astronaut is thinking, but it clashes somewhat with the popular rule of "Show, don't tell!" It might help to be more specific about the experience you wish the player to have rather than a general contemplative experience, because it allows for more colour in the narrative content. I also found it frustrating to be walking sideways sometimes with apparently nothing new to see. I wasn't sure if there was just a very large gap between pieces of content, or if I was walking out into infinity and staying for much longer than I needed to. If I was going somewhere I shouldn't have been, I would have liked to have been blocked off by a wall or some other obstacle, preventing me from walking too far off of the path that had content. I realise that with a game name like "Negative Space", both of these things could well have been intentional design decisions, but in an ideal world you'd be able to communicate that feeling while keeping the player from experiencing unnecessary frustration or boredom. It's still a great jam game, and I look forward to playing the post-jam version soon! Congrats! We have listened to your feedback and updated the build on itch.io. We would love for you guys to check out the new build (especially if you haven’t played the older ones) to gather more feedback - with a game like this as a developer you get numb after a while and need fresh eyes. Any feedback good or bad is greatly appreciated! Also feel free to post screenshots of whatever shapes you drew in the snow with your footsteps. Thanks for your feedback! I have changed the dialogues to urge the player to stop moving and interacting when they can do nothing to progress as a hint to the player. If feel like mechanically its important to stick with this interaction of sometimes progressing by doing nothing as it forces the player to literally give up on trying to find a way out or figure out “what they are supposed to do”. I want players to not just reflect on the words and read the “story" on an intellectual level, but to physically feel the effect of isolation, desperation and emotional paralysis. I hope the dialogue changes I did made that feel more natural and less disrupting. I don’t quite understand what you’re saying in your second paragraph. Maybe the game makes more sense to you now with the changes, but if it doesn’t the concept as a whole might just not be for enjoyable you. There isn’t anything to learn, or much a story or narrative to explore - It's vignette where the player spaces out like they would in a daydream or a deja-vu - it doesn’t necessarily make sense, its like wading through a weird brain glitchy feeling of isolation, confusion, and meaning-seeking without finding satisfying answers. I don’t want to be a nice narrative package about isolation thats neatly wrapped with a bow - I want to leave the player feeling lonely, confused and lost in thought. I don’t anticipate many people (especially those interested in more traditional types of games) will “enjoy” this game, as its not meant to be “fun”, but I hope we managed to achieve our vision for those who are into these weird kinds of experiences. Thanks so much for this super actionable feedback, most of the things you talked about are probably fixed now. I really wanted to do a running animation as well, so fingers crossed we will be able to do that if we find more time/good reasons to make another update. Thanks so much for the comparison to “Orchids to Dusk”- we actually talked a lot about that game during brainstorming and it was definitely an inspiration for Negative Space. Thanks for playing and giving feedback and compliments on art style and music. Hopefully the changes in our latest build took care of most of the issues you pointed out. Please let us know if there are other things that are still annoying or immersion-breaking.